The Barn has been at a standstill long enough. 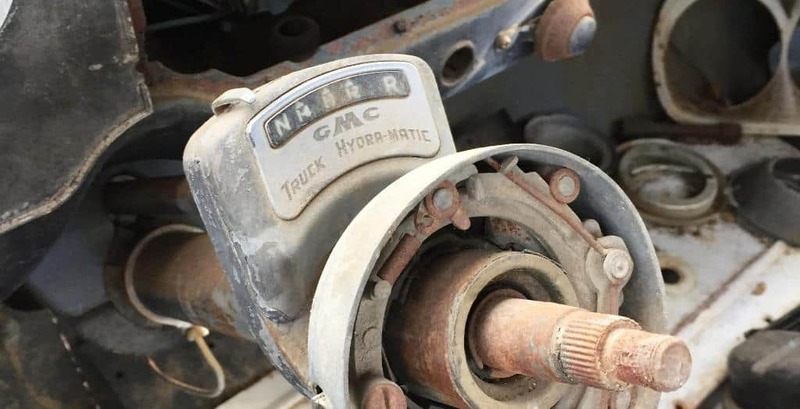 It is time to formulate a plan for the ’58 GMC, known around here as the “orange truck.” This helps us distinguish it from the blue truck, the black truck, and the green truck. We try to keep things simple because… what was I saying? 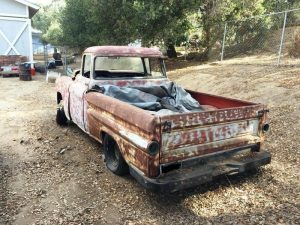 The ’58 GMC, in the yard awaiting its fate. An imagined NASCAR truck as it might have been configured in 1958… a small block, carbureted engine, retaining the drum brakes and leaf springs setup, manual transmission, with power steering. Considering that the truck has no engine or transmission, and that the rear end is an unknown quantity, it will be an expensive build (for us). I am guessing the “race” truck would be in the $15,000 area for parts alone, while the LS resto-mod would be more expensive but not excessively so. Heck, even rebuilding the hubs and spindles so that we can roll the thing into the barn is turning out to be surprisingly expensive. I welcome your comments as we continue to scratch our heads and debate the alternatives.